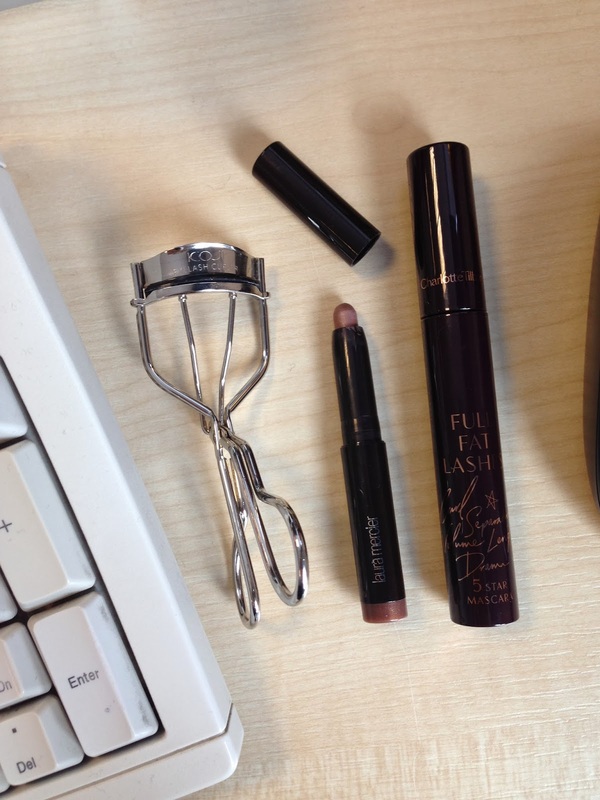 How do you freshen up your make up if you need to go out straight after work? In the past, I had been dusting powder all across my face, and topped up a bit of blusher and lipstick. But my skin was not happy, my face would feel dirty and blocked that it couldn’t breath. Not until recently a skincare expert told me that told me that I really should take my makeup all off and re-apply if I need to go out in the evening. But how am I going to do it when I am at work or out and about all day? It sounds such a hassle!! However, I have finally found my tricks so I am going to share with you today. It’s all about organisation and I generally carry quite a few of the products in my handbag daily anyway. 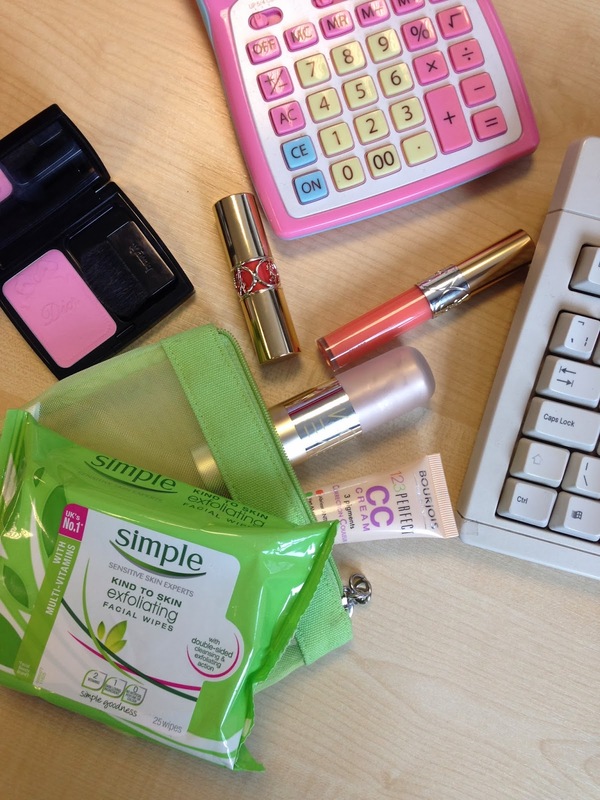 I keep a pack of Simple Cleansing Wipes (Boots - £3.25) in my office drawer. If I am out and about, I will carry Simple Eye Makeup Remover Pads (Boots - £3.99) because they are much smaller in size, easy to keep in handbags. The trick here is to only take part of the make up off. No need to wipe everything off. I would take off all my foundation. This covers the forehead, nose, cheeks, chin and lips. Leave the eye makeup untouched. You face will instantly feel much fresher and clean after this. After taking the base off, next step is to re-apple it. Of course you can bring any foundation with you, but I found the Bourjois 123 Perfect CC Cream (Boots - £9.99) is the best base on the go. It gives good coverage, can pat on extra on specific area, more importantly, it contains colour corrector so it covers redness, darkness and blemishes well without using concealer, which is a brilliant to be used on the go. I would put my blush on first before powder, as I found this way the blush adhere better. You can use whatever blusher you want, cream or powder. Dior’s Trianon DiorBlush (Escentual.com - £25.90) compact is the one I carry round with me late. It’s pretty colour for spring, the pastel pink just goes with everything. It has a good size mirror and comes with a little brush. 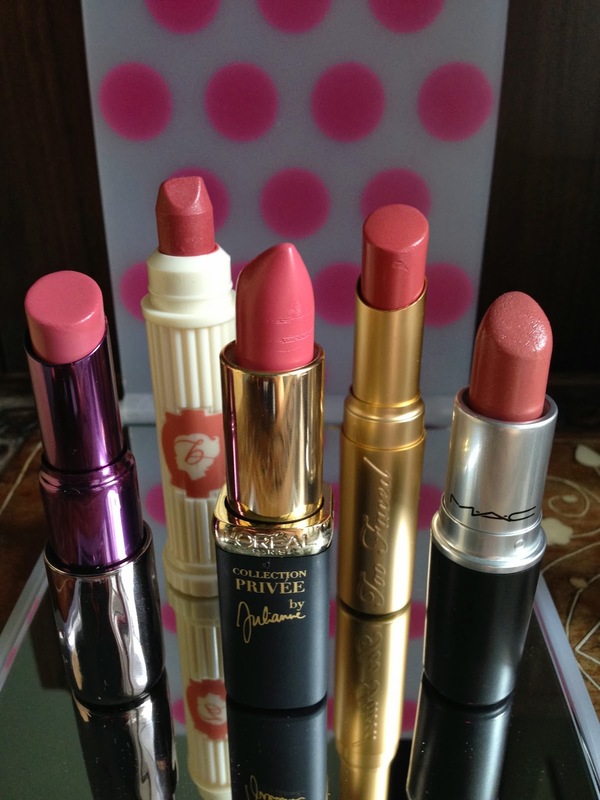 (I have a separate blog post for detail review and swatches). Again you can use any powder that you wish. I have been loving my Eve Lom Sheer Radiance Translucent Powder (SpaceNK.com - £42) very much! It’s a brush/loose powder all in one tube. Super easy to carry around. It takes away any unwanted shine, yet gives a subtle radiance to the face. A beautiful product. The final step is to put on your favourite lipstick and lipgloss. My latest combo is YSL Rouge Volupte Shine Lipstick No 16 Orange Impertinent (Selfridge.com - £25) and YSL Gloss Volupte Lipgloss No 203 Corail Gandou (feelunque.com - £21). Pinky coral to bright up the whole face. If you are like me, worry about orange lips but still want to try coral, this YSL lipstick shade is the one for you. So this complete the basic freshen up to the makeup change. You can finish the above in 5 minutes while waiting for your colleagues to log out and switch off their computers. I can assure you, your face will look and feel much fresher, and the makeup will be flawless for the whole evening. 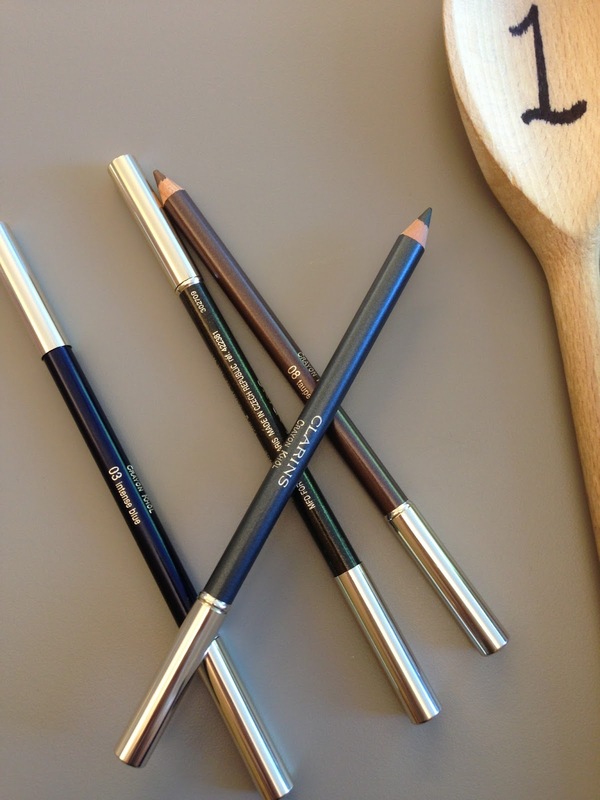 You can tackle your eye makeup as well. You might have done this in Step 1 already. If not, just carefully remove your eye makeup without disturbing your base. You can use any palette of your choice. I would choose something quick & easy, like the Laura Mercier eyebshadow stick (Selfridges.com - £20.50) quick sweep all over the lids & blend with fingers. I love my Charlotte Tilbury Full Fat Lashes Mascara (CharlotteTilbury.com - £22) , it gives both length and volume. The tip of the wand can be used on bottom lashes. These are my current favourite products to use. You of course can replace with your own favourites. You can even slim line the steps more to suit your need or expand the products used if you carry a bigger handbag. I carry most of these products everyday and my handbag is no bigger than a Chanel 2.55! What is your on-the-go makeup tips?